The NFL Draft means different things to football fans, depending on your team. For teams with ones and twos in the win column, it’s a chance to find a franchise player that will lead the team to redemption. For teams that had a successful year, it’s an opportunity to fill in any holes and grab young talent to develop. And for the Oakland Raiders, it’s a time to draft the fastest guy available regardless of skill or position and try to escape the growing shadow of JaMarcus Russel (seriously, the guy is huge now). As a football fan, you’ve no doubt spent more time than you’d care to admit pretending you know more than your favorite team’s front office – and for all we know, you might (looking at you, Miami). Now it’s easier than ever to play the role of general manager and follow along with the NFL Draft as it unfolds over the next three days. 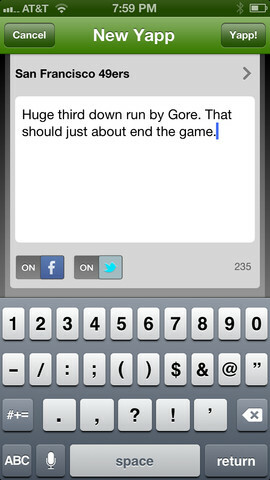 Here’s some great apps to help you cope with getting stuck with Manti Te’o. Opening Draftpedia is like dipping in to a well full of nothing but NFL Draft information. 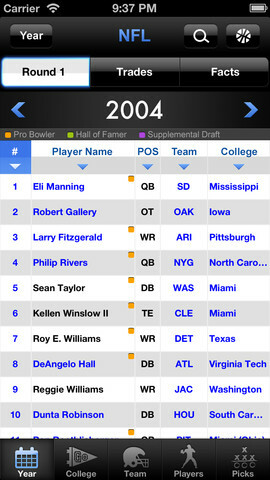 You can look at the results of previous drafts dating back to 1970 to exercise your hindsight skills, search by player to see where he was drafted and what school he came out of, look at career stats to see if a player was truly worth their pick position, and plenty more. If there is a piece of information about the draft floating around in the sports zeitgeist, it likely resides within this app. One of the biggest parts of the NFL Draft is the trading that takes place during it. The possibility of that happening is enough to keep fans interested in the otherwise uneventful ten minutes that it takes to make each pick. Every team values their picks differently, and if there’s a player on the board they desperately wants (see: the Saints and Ricky Williams in 1999), they may overpay. 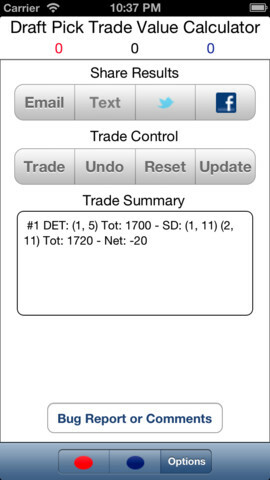 You can use Draft Calc to check the value that your team is getting in its trade or make a deal of your own and tweet it out in hopes of a GM seeing it and making the deal. After all, you definitely have it all figured out as you sit there on your couch. Let the world know. NFL fans always have an opinion to share and what they believe teams should do. With how accessible information about prospects has become, from the results of their training sessions to a full four year history of stats from college, it’s easy to think you’re an expert yourself. 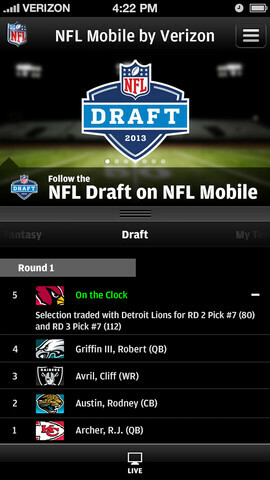 Draft Pik 2013 will help you get informed with all that information and news updates about players, and then lets you decide how the draft will play out. Make up your own mock to make out where each prospect lands. You can submit your mock and if you get it right, you might score yourself a prize. Or you might get mocked by your friends for being so wrong. Assembling a good football team takes years. Sometimes, that’s how long it feels like the NFL Draft takes. Split between three days, the draft can consume your time in multiple hour chunks during which not much actually is happening. If you can’t be around the television for that long because you have, say, a job or something but you still want to follow along with the draft, NFL Mobile has a live draft tracker and offers alerts when a pick or trade is made. 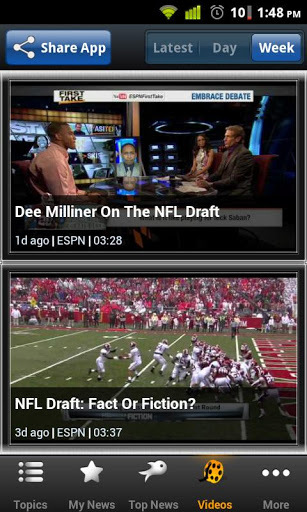 Now you can know what is going on without having to listen to Mel Kiper Jr. repeat the same information over and over. While the Draft is just part of the NFL’s offseason, it probably has the most build up around it. Most of the players in it have been playing football their entire lives and have done everything they can to gain the attention of pro scouts over their career. Now is there chance to make it to the pros and every little detail can be the difference between getting picked and not making it. Keep up with the news about prospects and teams and see how little details – like having an imaginary girlfriend, for example – affect draft stock with Draft 2013 News. The NFL knows just how big the Draft is to teams and fans alike. The league is a business and this is just one of the many shows it puts on to generate interest in it’s real product: the games. When a prospect gets picked and has a new home, the league salivates over the jersey sales the pick will make. 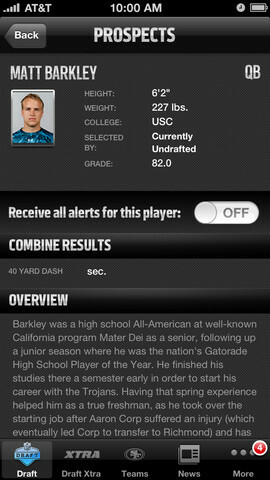 So of course the NFL has a fantastic app for fans that want to follow along. 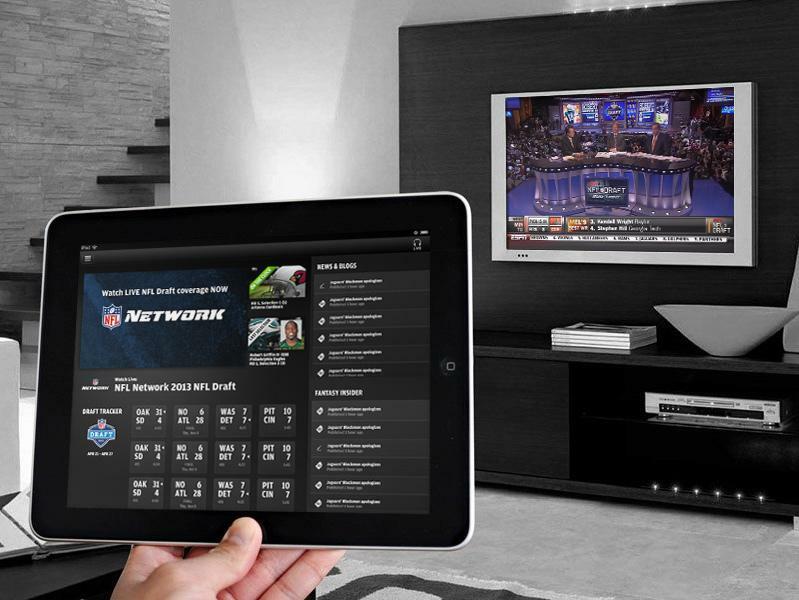 Get notifications about what your favorite team is doing, set player specific notifications, watch the festivities live via streaming video, and more with NFL ’13. Just like with actual football games, a terrible announcer or commentator can really ruin the experience. No one wants to listen to someone who is babbling and spewing nonsense for the entirety of an event. 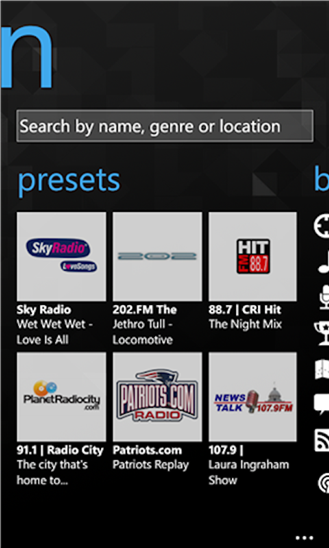 If ESPN suddenly brings Skip Bayless onto the stage and you’re not willing to put yourself through that torture, pull up TuneIn Radio and find a station providing coverage with anchors that are insightful and intelligent instead. Because no one should have to be forcibly exposed to Skip Bayless, no matter what. It takes years to know if a draft pick is going to pan out and be worthwhile. Fans really have little idea if a player is going to be a star that will anchor their team for years to come or will fizzle out in an impressively sad fashion and will be nothing but a forgotten footnote in the team’s history book. But we need to make immediate reactions to these things. There is no time to wait to start bragging about your team’s draft. 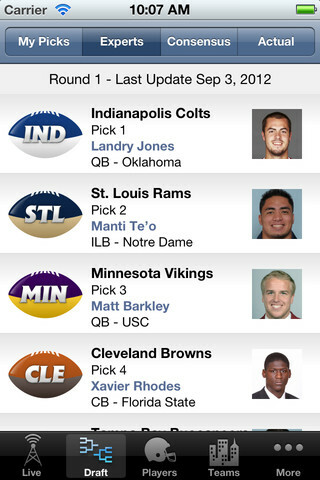 Take to SportsYapper and start rubbing your picks in the faces of other fans. If you’re right, great. If you’re wrong, no one will know for years and will forget all about your obnoxious bragging by then.